Not too bad of a sequel. Daniel Farrands and company did their best in trying to sort out the “Thorn” cult nonsense touched upon in Halloween 5. But trying to explain Michael Myers’ motivation and tying it to an ancient Druidic cult, constellations, and bloodlines etc. made the movie a lot less scary, less about Michael and more about a weird cult that was tacked onto the end of part 5 with no real direction planned out. 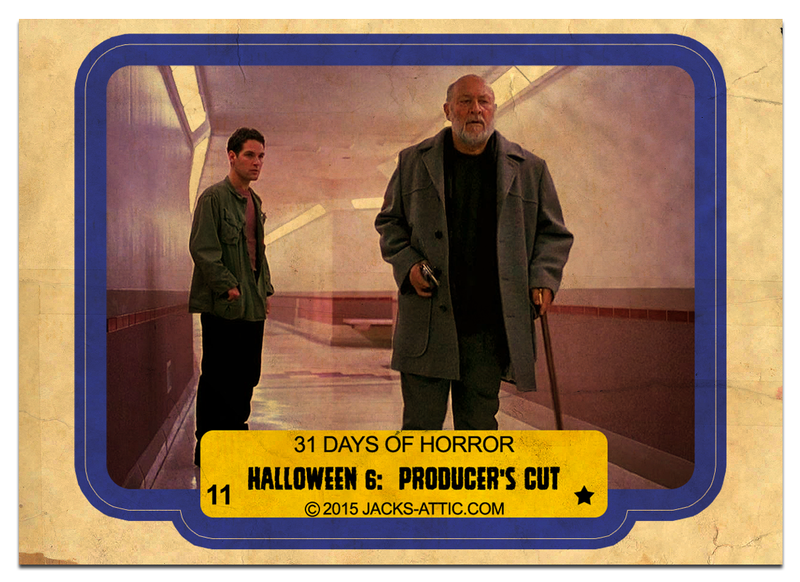 However, the Producer’s Cut did keep Jamie Loyd around a bit longer and had more Dr. Loomis. Plus it’s always fun watching a babyfaced Paul Rudd chew through scenes as an off-kilter, grown up Tommy Doyle. All in all, not the worst sequel (Resurrection) but far from the best (Part II).